Ok so here's the deal. 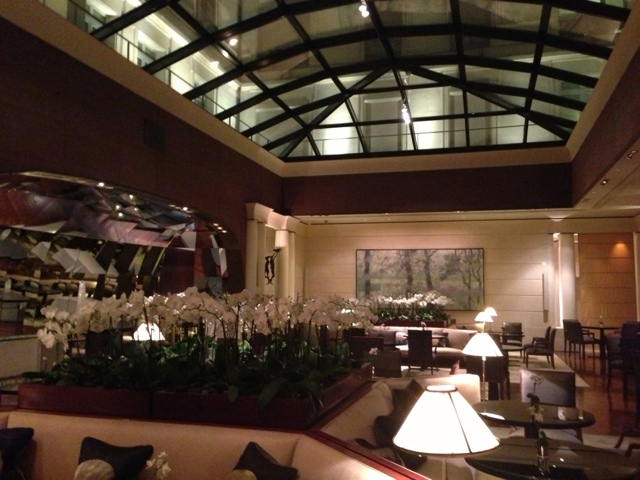 The Park Hyatt Paris Vendome is a 5 star luxury hotel with one of the best locations in Paris. Standard rooms run about 600-800 euro or $800-$1000. The room I stayed in was a Park suite which sells for well over $1000 a night. I got this room for free as part of my Chase Hyatt Visa signup bonus. I had done a "Diamond Trial" prior to signing up for the card so my nights were in a suite. My significant other also signed up for the card so we got 4 nights total. Also as part of my diamond benefits, a breakfast buffet was included daily. Upon arrival we were greeted at the door and our luggage was whisked away. We then proceeded to the check in desk where we were told we would be in a suite all 4 nights. Technically the first 2 nights were booked into a suite and the other 2 were booked into a standard room using my girlfriends points. We were then given a personal tour of the hotel and were escorted up to the room. Waiting in the room was a half bottle of red wine and some cookies. Within minutes our luggage arrived. The room itself was more of a junior suite than a true suite, but for Paris standards it was huge. 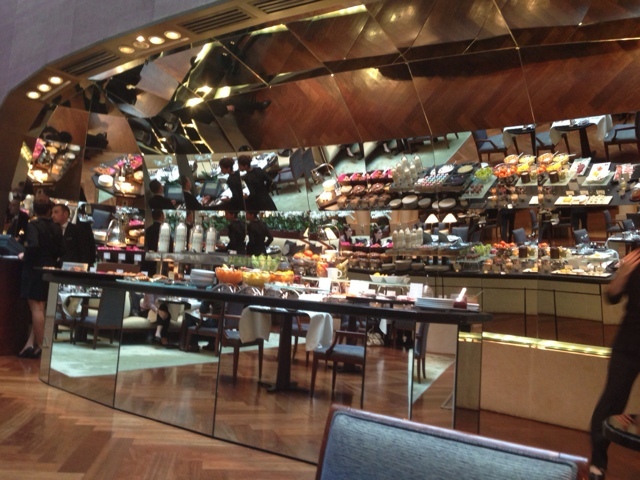 It also had high ceilings, lots of mirrors and large windows which made it look bigger. There was a small sitting area with a chair, sofa and fireplace. The bathroom was almost as big as the bedroom. 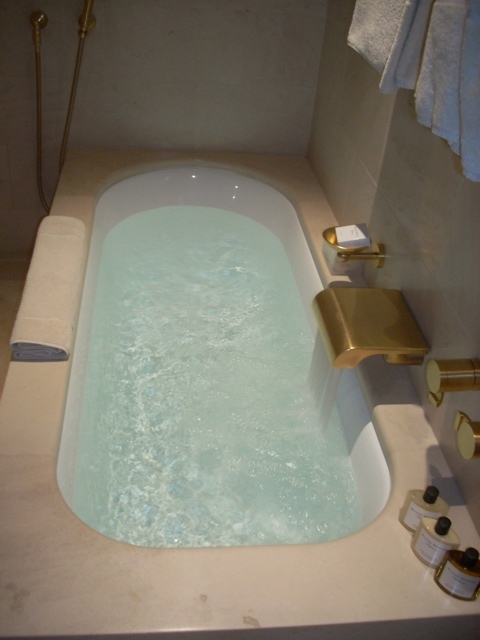 There was a large tub, rain shower and 2 separate sink areas and lots of luggage storage. 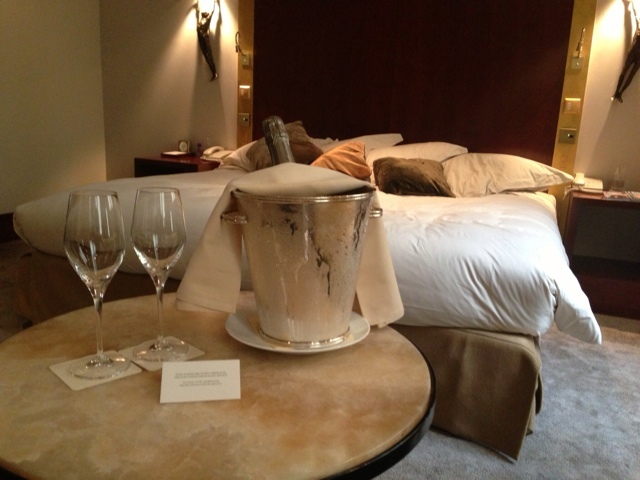 We left for the evening and returned to find a bottle of champagne (Billecart-Salmon Bruit) on ice in the room. The next morning we headed downstairs for breakfast. As mentioned before as a hyatt diamond member, I got free breakfast each morning. The breakfast was nothing short of spectacular. 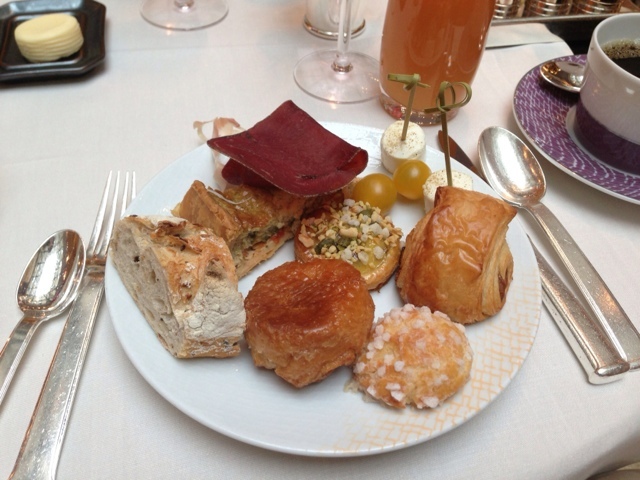 A large spread of pastries, meats, cheeses, bread and fruit. We also got 2 eggs cooked to order and two sides. 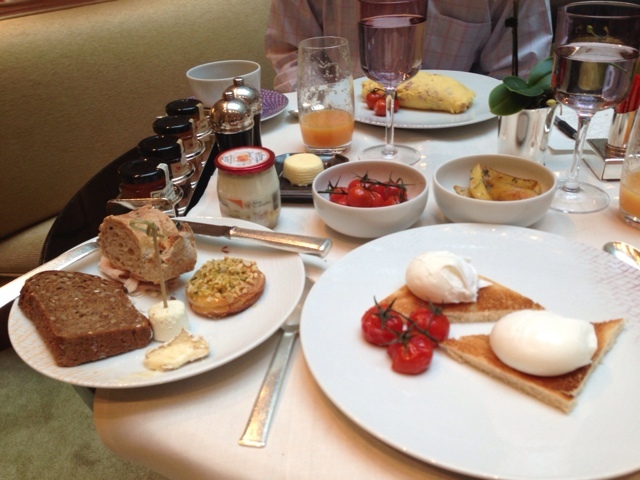 Each day we tried a different style of egg - poached, omelet, fried, soft boiled. All were cooked perfectly. The bill each day came to 98 euro but I didn't have to pay a cent of it! The location also was top notch. 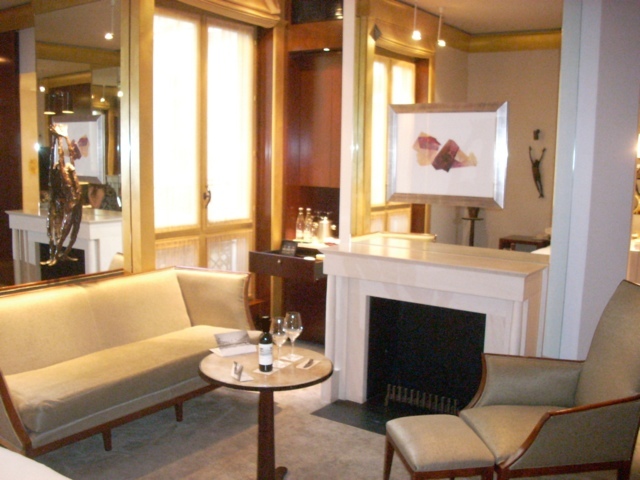 Located on Rue de la Paix, about a half way between the opera house and the Place Vendome. Easily walkable to most sights. We ended up renting bikes while there and found that to be a very affordable and fun way to get around. All in all a fantastic stay and an excellent use of my free nights. As mentioned before the room sells for $1200 a night and the breakfast was about 130$ for 2 people. That's $5,320 in hotel and food all for free! For more information on this fabulous hotel, please visit the hotel's website. The breakfast area "Les Orchidees"